Our actors, posing as wait staff, will convince your guests that they are there to serve but soon start acting a bit bizarre. A story begins to unfold as guests are brought into the drama. 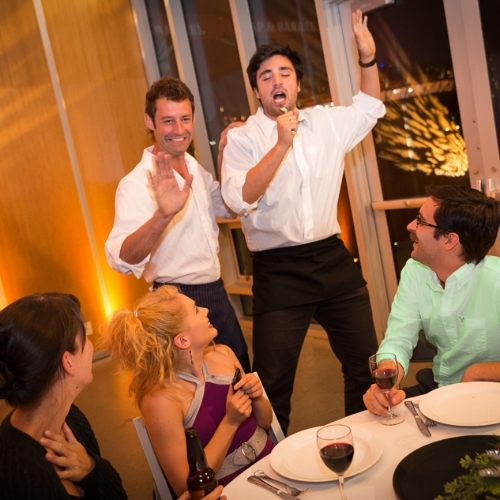 When the tension is at it’s peak, it’s time for the “reveal” where the waiters expose their true identities and the room dissolves in an explosion of laughter and applause. We call this "retroactive entertainment" because people don't know they are being entertained until the "reveal." 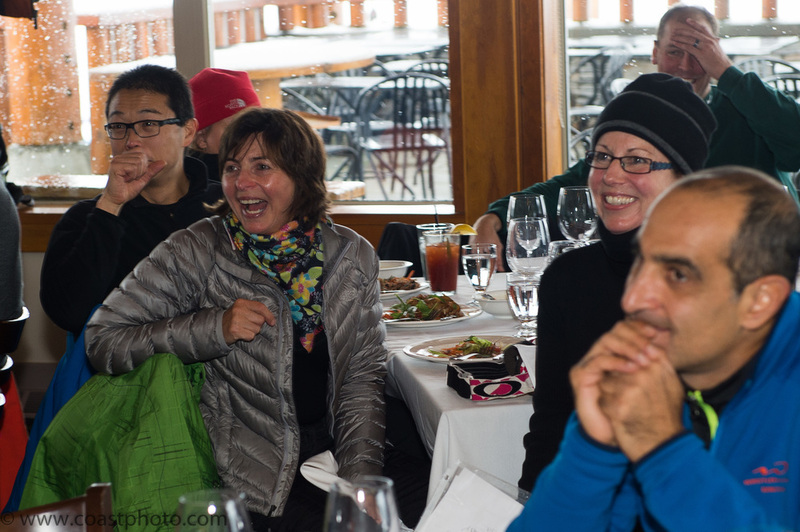 This shared experience results in "effortless networking," and helps to builds strong bonds between participants. The style of humour is very popular right now and the overall experience offers an innovative approach to traditional entertainment. We'll work with you to create a character or group of characters that embeds themselves into your group and then start acting more and more bizarre as the event progresses Our actors will pose as a new hire for your company, a fake client, spouse, or any other role you can think of! We will write a custom backstory, sketch, and reveal to pull a prank on your VIP, staff, or family and friends. The power of interactions with an undercover actor can be tremendous, and the unique experience is a potent memory for all those involved. To get the most value, we recommend that the undercover actor turn into a game show host or feature performer for a following feature entertainment piece. 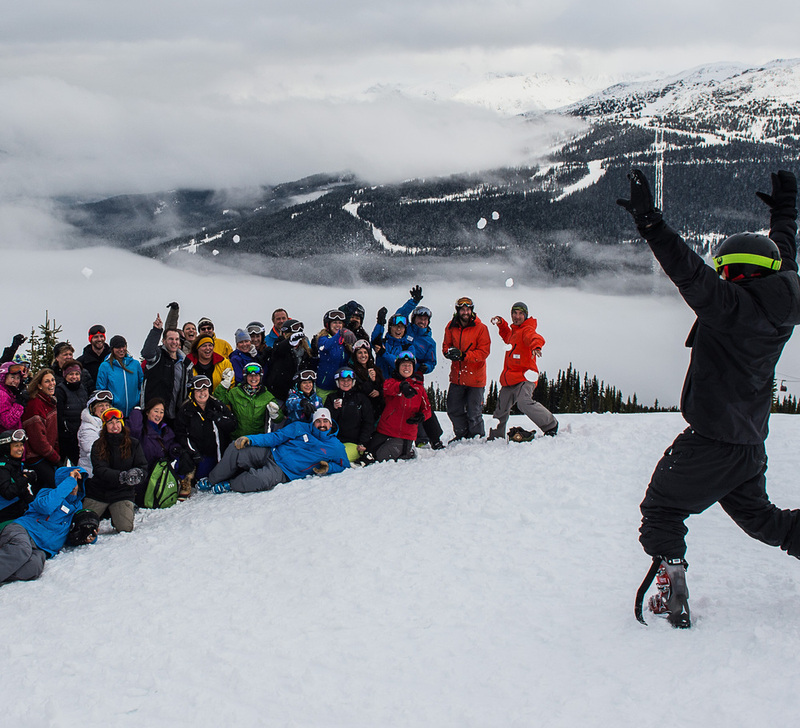 Undercover meeting planner during a familiarization tour of Whistler.